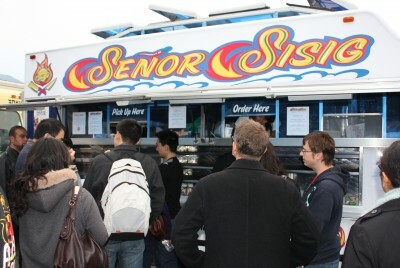 Tosilog is a popular Filipino breakfast meal. 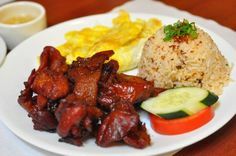 The name tosilog was derived from the different components of the meal which are: Tocino (cured pork), Sinangag (Filipino garlic fried rice), and Sunny-side up egg. Tosilog is best eaten with a spicy vinegar dip. 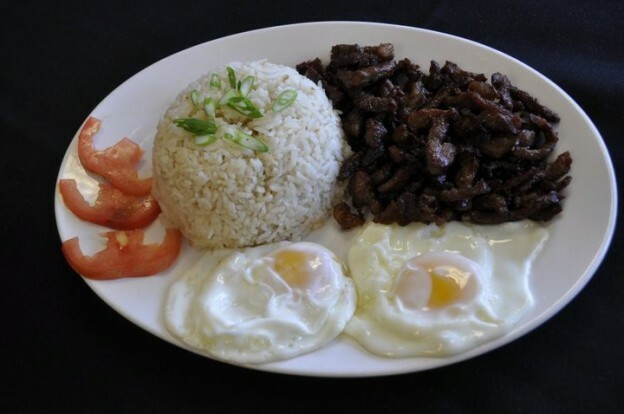 Preparing or cooking tosilog means making each of its components. 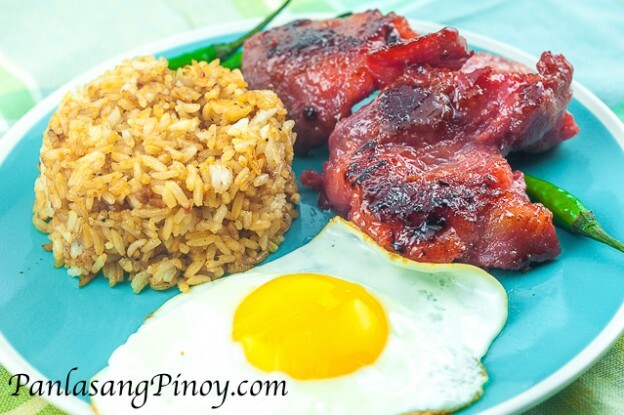 You can make your own homemade tocino by following our tocino recipe. I added the link in the tosilog recipe below. Sinangag or Filipino Fried rice is quick and easy to make. There is also a link below, which will guide you on how to cook sinangag. I intentionally cooked the sinangag for the second time with the residue of the tocino so that it can be tastier. As for the sunny-side-up egg, I think that this is something that you handle. Boil the water in a cooking pot. 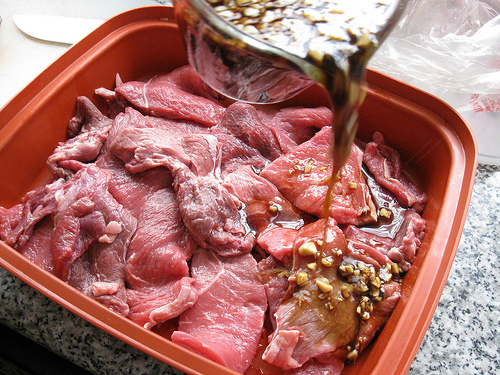 Once the water starts to boil, pour-in the cooking oil and add the uncooked tocino. Boil in medium heat until the water evaporates. Once the water completely evaporate, the oil will be left behind. Let one side of the tocino cook in oil for 3 minutes. Flip the tocino and cook the other side for the same time. Arrange the cooked tocino with the eggs in individual plates. Meanwhile, remove the excess oil in the cooking pot where the tocino was cooked. Heat the same pot and put-in the sinangag. Cook the fried rice for 1 minute while tossing. The residue from the tocino will stick to the fried rice making it more tasty. Arrange the fried rice with the tocino in individual plates. This entry was posted in Breakfast, Pork Recipes on April 6, 2015 by Kram.